Participated in the Technion Excellence Program: October 1997 – July 2001. 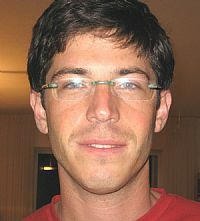 Yaron included advanced courses in his curriculum in the field of computational learning and brain research. Finished his Medical Degree at 2015. During Yaron’s studies, he worked at Rosetta Genomics doing research. Today (2017): Psychiatry resident at Geha Mental Health Center.